Mainers and other Americans may end up owing more than they expected when they file their 2018 taxes under the first year of the Trump administration’s Tax Cuts and Jobs Act passed in December 2017, but there’s even more to come in 2019. 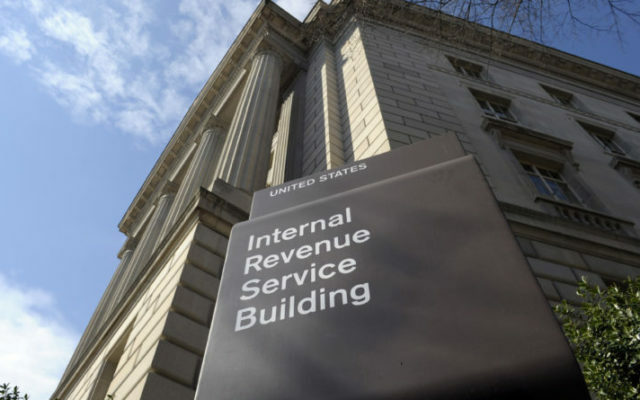 The Internal Revenue Service recently adjusted 2019 federal tax brackets for inflation. The Tax Cuts and Jobs Act requires annual adjustments for inflation, but the IRS used a different method for calculating inflation that will result in most Americans paying more taxes in the 2019 tax year when they file in 2020. States may have their own adjustments for 2019. Maine adjusted its rates for inflation in September for tax years beginning in 2018. The new rates range from 5.8 percent of Maine taxable income of less than $21,450 for single individuals or married couples filing separately to $3,222 for those making $50,750 plus another 7.15 percent for any income above that amount. Married couples in Maine making less than $49,910 pay 5.8 percent in taxes, while those making up to $101,550 pay $6,447 plus 7.15 percent on any income above that. That compares to 2018 federal tax brackets of 10 percent in the lowest tax bracket for single filers making up to $9,525 and 10 percent for married couples filing jointly and earning up to $19,050 in the lowest bracket. In the highest bracket in 2018, single filers paid $150,689.50 on earnings of $500,001, plus another 37 percent on earnings over $500,000. Married couples filing jointly paid $161,379 on income of $600,001 plus 37 percent of the amount over $600,000. The tax system is progressive, meaning a person can fall into more than one tax bracket, according to NerdWallet.com, a financial website. For example, in 2018 an individual with $50,000 of taxable income would pay 10 percent on the first $9,525 and 12 percent on the income between $9,526 and $38,700. Because some of the taxable income falls into the 22 percent bracket, the amount from $38,701 to $50,000 would be taxed at 22 percent. So the total tax bill would come out to about $6,900, or 14 percent of the taxable income. There’s good news in the 2019 federal tax numbers. The standard deductionwill rise $200 to $12,200 for single filers and $400 to $24,400 for married couples filing jointly. When Cultivate, one of two Massachusetts companies started recreational marijuana sales last Tuesday, Nov. 20, its Instagram account was shut without notice, Francy Wade, a company spokeswoman, told Boston.com. Cultivate had been using Instagram to provide product updates for months after it started medical marijuana sales. New England Treatment Access, the second shop licensed to sell marijuana for recreational use, also had its account disabled. That was the case with at least six Massachusetts marijuana dispensaries, according to the Worcester Business Journal. Instagram’s community guidelines prohibit users from offering illegal or prescription drugs. Marijuana is legal for adults over 21 in Maine, Massachusetts and eight other states, but it is still illegal on a federal level. “Dispensaries can promote the use and federal legalization of marijuana provided that they do not also promote its sale or provide contact information to their store,” Noon said. Facebook, which owns Instagram, has a similar ban. New England Treatment Access also recently had its Facebook account shut down, a Facebook spokesperson told Boston.com. The website said dispensary officials are working to reactivate their accounts on the social media platforms, which are among the largest in the world. The Federal Reserve on Wednesday warned there could be particularly large drops in stock prices because of risks to financial stability, including trade tensions and rising corporate debt. The Fed issues its first financial stability report, in which it said the risks could cool down investors, and that could dampen the market and weigh down stock prices. If stock prices plunge, the Fed said it could be harder for many businesses to get funding. Contributing to the market instability is whether the Fed raises or lowers interest rates, the report said.